*Data reflects model year 2017. Minimizing fuel expenses is essential for your business. The Metris’ unique size provides you with more space to carry what you need, and still has one of the lowest fuel consumption costs of comparable large and small vans. Cargo Volume: The Metris has a cargo volume 44% larger than the competition. Payload Capacity: The Metris has a load-bearing capacity 53% larger than the competition. As a business owner, you understand the value of maximum return on minimum expense. 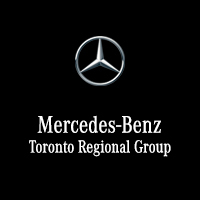 Delivering 44% more cargo volume than its competitors, the Mercedes-Benz Metris depreciates at a remarkably low rate. * Vincentric™ is a renowned third-party research group that provides data, knowledge, and insight to the automotive industry by identifying and applying the many aspects of automotive ownership costs. Vincentric™ results based on cost-of-ownership calculations in the retail market. To learn more about Vincentric™, click here . ** Fuel cost and retained value based on 50,000 kilometres per year over 5 years as calculated by Vincentric™ in the 2017 analysis of the Canadian retail market for the 2500 series van. Fuel cost savings based on analysis of Canadian retail market for the 2017 Mercedes-Benz Sprinter 2500 compared to Nissan 2500 cargo van as performed by Vincentric™, LLC. † Fuel cost and retained value based on 50,000 kilometres per year over 5 years as based on the 2017 model level analysis of up to ¾-ton cargo series vans as performed by Vincentric™, LLC for the Canadian retail market. Fuel cost savings based on analysis of Canadian retail market for the Mercedes-Benz Metris compared to the Chevrolet Express 2500 and GMC Savana 2500, Ford Transit Connect, and Ford Transit 150.